Summer's coming! 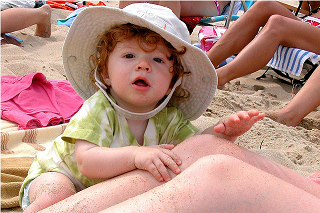 Kids whining about their itchy bug bites? Here's some relief for both of you! 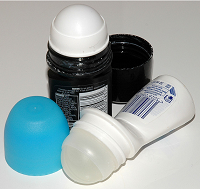 Find a small roll-on or sponge dabber type of bottle. Or even a small spray bottle. Clean out the bottle very well. 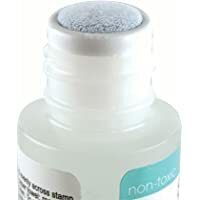 If you don't have anything suitable around the house, you can find stamp moistener sponge bottles at an office supplies or dollar store for around $1.00-$4.00. Fill the bottle with vinegar, and simply roll or dab onto the bug bites. Instant relief! You could also just dab it on straight from the vinegar bottle, but the best part of using a roll-on or dab-on bottle is the kids can use it themselves - whenever their bites start to itch again! If you don't like the vinegar smell - this next tip will take a bit longer. Soak the left-over peels from a couple of oranges (or lemons, clementines, tangerines, limes) in vinegar for two weeks in a sealed 16-ounce mason jar. After two weeks, pour the vinegar into your roll-on bottle and apply this yummy smelling bug bite relief!